This is a conference you will not want to miss! 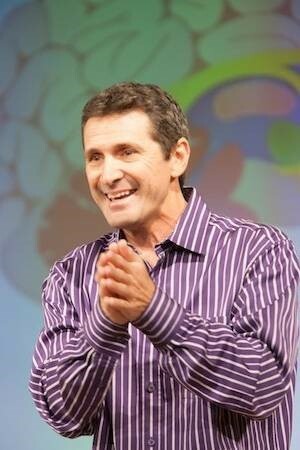 Dr. Daniel Friedland, is an expert on the science and practice of high-performance leadership and author or Leading Well from Within: A Neuroscience and Mindfulness-Based Framework for Conscious Leadership. Click here for more information on Dr. Daniel Friedland! Lieutenant Commander Chip Lutz USN(Retired), CSP is a speaker who listens to the needs of your organization to help facilitate the success of your event. He prides himself on the personal, lighter side of leadership and the impact of building relationships with others so that, collectively, we can achieve great things. Click here for more information on Chip Lutz! The VROC directly contributes to efforts underway within the Defense Vetting Directorate to align processes across the Trusted Workforce enterprise, transform and modernize the business model and vetting methodologies, and provide oversight and guidance to stakeholders. The VROC consolidates existing capabilities of the former Personnel Security Management Office for Industry, the DoD's Continuous Evaluation Program Management Office, Industry's Insider Threat Office and will incorporate robust analytic and adjudicative support for the DoD Consolidated Adjudications Facility to streamline adjudicative functions and consolidate analytical and administrative activities. …and many more great topics! NOTE: Full schedule is coming soon.